There is no better way to get prepared for an exam than to study. Admissions test will be a measure of your readiness for college and at the same time, your readiness for the course you want to take. A few months to go and the graduation season is once again upon us. However, as early as now, incoming college students are already eyeing for the colleges and universities where they will enroll as the first step towards achieving their dreams and finally realizing who they want to be in the near future. But before the actual enrollment, one of the steps these students will have to take is the admissions test. 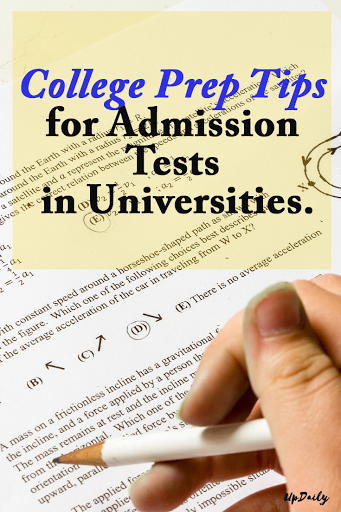 If you also about take the admissions exam to your preferred university. Here are some of the college prep tips you need to consider. 1. Give yourself ample time to study. It means that most of the questions will revolve around the topics and subjects you have learned the past years and you need to make sure you give yourself enough time to review them. Studying is not something you should do the day prior to your exam. As much as possible, start reviewing your notes months and weeks prior to the admissions test. 2. Find out the focus subjects on the test. 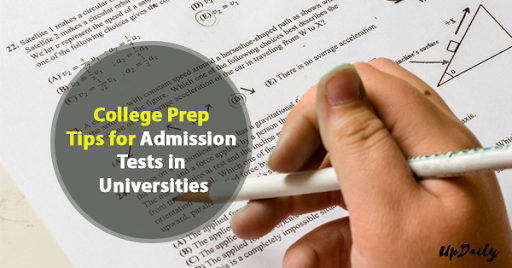 Colleges and universities vary when it comes to the focus subjects on their admissions test and it will help if you find out the subjects covered in your preferred school. 3. Practice on your old exams. Aside from reviewing your old notes, it will also help if you practice on your old exams. This way, you can familiarize yourself with the format of the questions and you can practice answering each item in a timely manner because remember, there is a time limit whenever exams are facilitated. Preparation is one of the keys to being successful and passing your admission test in your preferred university. And if you want to make sure you get in, there is no better time to prepare than now.